The ingenious design of the Aheadset cone allows it to be used as a crown race when turned over. This means the cup, bearing, and cone form identical top and bottom assemblies promoting easy installation and fewer unique parts. The cups and cones work together with an innovative LubeAlarm o-ring to seal-out contaminants. 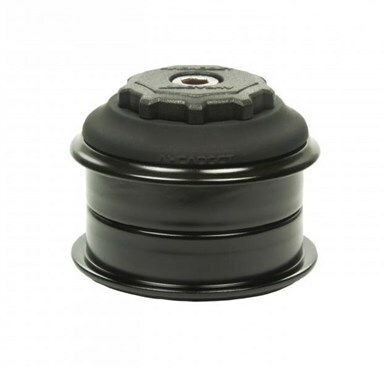 The compression ring is integrated into a first-of-its-kind compression cover creating a simple and light assembly.